Korea Game Society on Friday will introduce a functional game that can help patients with diabetes better manage their dietary pattern. 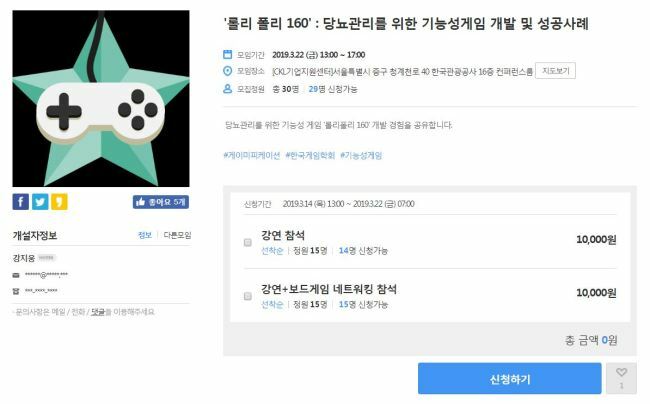 An Android diabetes self-management application “Roly Poly 160” is set to be presented at a seminar, to be held at Contents Korea Lab in Jung-gu, Seoul. The game incorporates elements such as quizzes, ranking system and in-game avatars, to existing educational materials. By doing so, the app aims to engage patients with diabetes to familiarize themselves with beneficial information in entertaining ways. Professor Ahn Tae-hong, dean of the department of game development at Chunnam Techno University in Gwangju, will introduce the game at the seminar as the developer. Ahn’s “Roly Poly 160” project, carried out in collaboration with Chosun Nursing College over a three-year period, revealed that some 130 diabetic patients who used “Roly Poly 160” have exhibited a significant fall in their glycated hemoglobin rate, and also exhibited an improved knowledge of their medical condition. Typical diabetes-management education focuses on prevention of complications through managing eating habits, exercise and appropriate drug use. However, the modes to convey this information to the patients have largely been in the form of lectures or phone calls, which have shown to lose effectiveness over a prolonged time period. “Roly Poly 160” can be downloaded for free on Android devices. Two public health centers in Gwangju are mulling to subscribe to the app’s business manager feature to monitor the progress of diabetic patients.